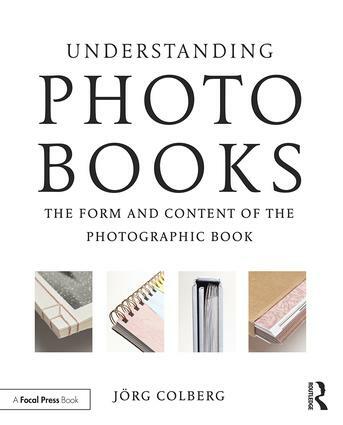 Understanding Photobooks is a user-friendly guide to engaging with the photographic book— or, as it is widely known, the photobook. Despite its importance as a central medium in which many photographers showcase their work today, there is surprisingly little information on the mechanics of the photobook: what exactly it does and how it does it. Written for makers and artists, this book will help you develop a better understanding of the images, concept, sequence, design, and production of the photobook. With an awareness of the connections between these elements, you’ll be able to evaluate photobooks more clearly and easily, ultimately allowing for a deeper and more rewarding experience of the work. 1 Introduction: What Is a Photobook? Dr. Jorg M. Colberg is a writer, photographer, and educator. He is currently a faculty member at Hartford Art School’s International Limited-Residency Photography MFA Program, which is the only program of its kind to focus on photobooks. Since its inception in 2002, his Conscientious Photography Magazine (http://cphmag.com) has become one of the most widely read and influential websites dedicated to contemporary fine-art photography. Colberg has published articles and essays in numerous photography and design magazines, including British Journal of Photography, Creative Review, Chinese Photography Magazine, and FOAM Magazine.